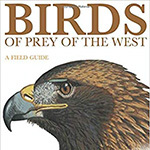 Two new advanced raptor guides. Spring Migration and Feeding Birds. Why do woodpeckers frequently drum on a metal roof, drainpipe or TV antenna support? A. 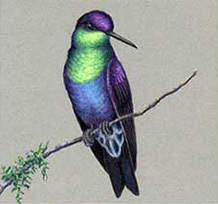 Most birds sing to proclaim territories and warn other males to keep away. Since many woodpeckers have relatively poor voices they drum instead of sing to proclaim ownership of their nesting area. Ordinarily they select a hollow tree to obtain the maximum volume. Some individuals have discovered that they get the most volume from a metal roof, drainpipe, or antenna support and consequently use these objects as their favorite drumming posts. Attract more birds and a greater variety of birds with our online mini-guides. Using water - The magic Attractant. New to feedings and watching birds? 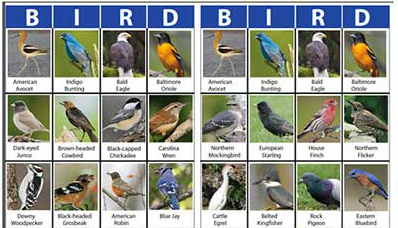 Checkout the ABCs of bird watching. Attend one of the many bird festivals to meet new friends and see new birds. Our complete festival list. Includes our Top 10 Festivals and list by state. 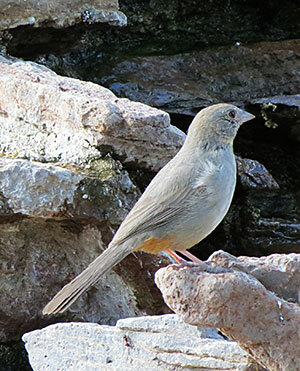 This month's featured tour company is Rockjumper Birding Tours. They offer tours to 60 international destinations. 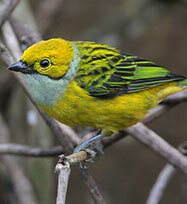 Check out our list of both domestic and international birding tour companies. Our featured location: Canopy Tower - Panama. Check out our 25 favorite birding locations. Great international birding locations and some of the companies that will help you when you arrive. 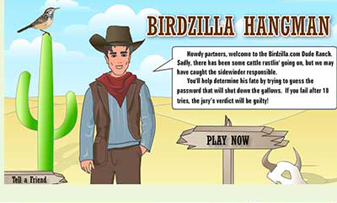 A new quiz bird will be posted each week. 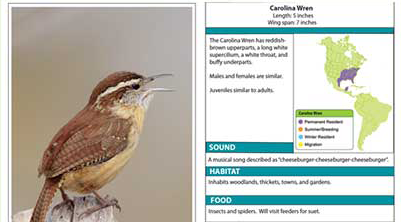 We have many free resources that are all about birds for educators and kids of all ages. 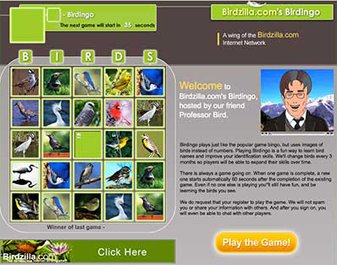 Play one of our free online games, including Hangman, Matching, Bird Bingo and Bird Solitaire. 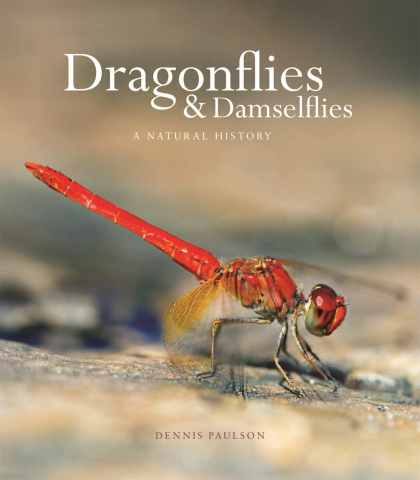 Learn more about our free resources for educators.